White Sox legend, Ron Kittle, joins us for this edition of 89 Seconds With 890 powered by Xfinity! Can Tim Anderson recite the lyrics to “The Fresh Prince of Bel Air” theme? Find out on this edition of 89 Seconds with 890 powered by Xfinity! Mike Squires talks the difference between baseball now versus baseball back in the day on this edition of 89 Seconds With 890 powered by Xfinity! Although Dan Pasqua was raised in New York, he has an appreciation for a Chicago staple, deep dish pizza! Here is this edition of 89 Seconds With 890 powered by #Xfinity! Todd Steverson poses the age old question, why can’t you put ketchup on a hot dog in Chicago?! Watch the White Sox third baseman field questions from April Rose, sharing his favorite sitcom, favorite baseball movie, and much more! Darrin Jackson takes a break from the broadcast booth and answers April’s rapid fire questions on this edition of 89 Seconds With 890 presented by Xfinity! Former pitcher Donn Pall has some history with the White Sox even before he was a player! It has to do with a certain demolition that happened on the field… Find out on this edition of 89 Seconds With 890 presented by #Xfinity! 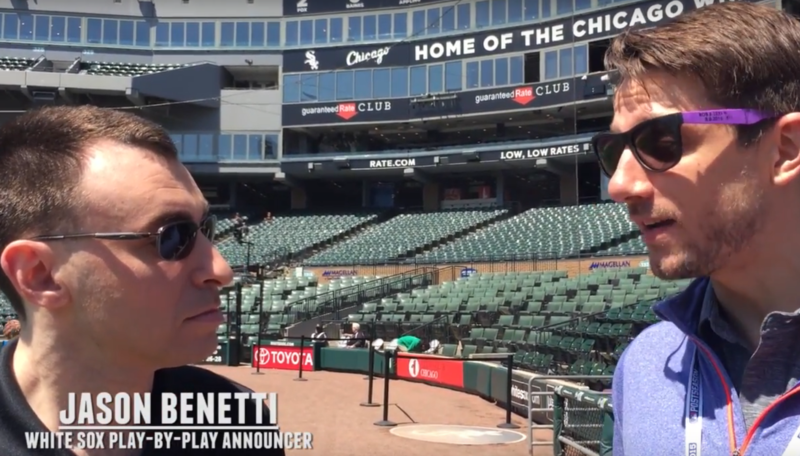 Former White Sox outfielder Mike Huff gives us his take on what being a Sox player really means on this edition of 89 Seconds With 890 presented by #Xfinity! April Rose has the hard hitting questions but does Nate Jones have the hard hitting answers? Find out on on this edition of 89 Seconds with 890 presented by #Xfinity! On this edition of 89 Seconds with 890 presented by #Xfinity, Jason Benetti answers Connor McKnight’s rapid questions! In the hot seat this week for 89 Seconds with 890 powered by #Xfinity, we have Tommy Kahnle answering some rapid fire questions by reporter Rachel Brady.